Kim Kardashian and Kanye West have taken their relationship to the next level. The reality TV star has introduced her boyfriend to the family! The surprise move has prompted talk Kim K could soon be planning a third trip up the aisle. According to TMZ…the get together happened this weekend in New York. And despite a few reservations from her step dad Bruce Jenner Disapproves Of Kim K Dating Kanye West …it was a great success. The Kardashians loved Kanye and have given this unlikely hook up the big ‘K’ stamp of approval. Kim desperately wanted them to like the singer and prove to her family how good they were together. 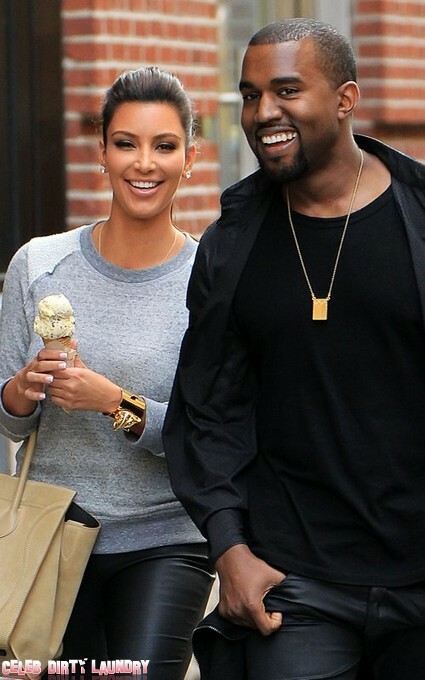 But she needn’t of worried – they adore him and reckon Kim and Kanye make the perfect couple. I’m sure they also love the fact his first name starts with a K.
So when will Kanye pop the question? Will he wait ’til the Kris Humphries debacle is behind his girlfriend? Or seize the opportunity to make headlines across the world and ask for her hand in marriage within weeks. Now that he has the Kardashians approval there’s no stopping this love match!